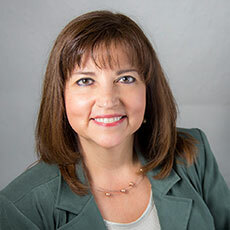 Born and raised in San Antonio, Lou began her career in the dental industry after graduating from the UTHSC. Involved in dental assisting and administration for over 30 years, Louʼs focus has always been in exceptional customer service. Working with insurance processing and financing, she made sure to do whatever she could to keep dental procedures as affordable and easy for her patients. Lou has had a long-term interest in real estate, starting 20 years ago when she and her husband physically built their current home themselves. Working with various contractors, as well as wielding a circular saw herself, she found a passion for housing, and decided to shift her career into helping others find and even build their perfect homes. Optimistic and upbeat, Louʼs number one priority as your real estate agent continues to be unbeatable customer service. In her downtime, Lou spends as much time as she can with her wonderful family, which includes one son, three daughters, and five grandchildren. She also loves country music and enjoys live jazz. Whenever possible, Lou and her husband spend time at the lake either relaxing or kneeboarding.